Every year, financial experts give their predictions for all the top stocks. Likewise those in the precious metals market give their predictions for the year. Predictions are usually based on a wide range of factors, some of which are difficult for non-experts to ascertain. Predictions are very important because they help Investors to plan on their next course of action regarding specific precious metals. From the predictions, one can know whether to buy the metal seriously or whether to sell off what they have quickly. Your Personal Financial Mentor gives you an insight into Precious metals market predictions and how the predictions can be interpreted by an Investor. First of all, predictions for precious metals are based on, among other things, the behaviour of the stock market. For example, Gold predictions 2013 indicate bullish prospects for the metal. 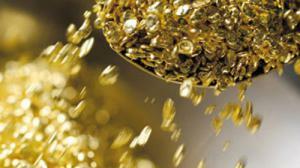 Experts speculate that Gold will be the biggest beneficiary of fears over sovereign debts in Europe. These fears are not good news for the stock market, but as it turns out, they open doors for the precious metals market in interesting ways. Some pundits have even adjusted earlier predictions, still favouring the Gold market. Having said that, how should an Investor interpret these predictions? Well, let’s start with where you stand as at now. Assuming you are not trading currently in the precious metals market, and you are only contemplating to start, then the time to start is just when the year starts- that is if the predictions indicate a rise. Otherwise, if you already in the market, you might decide to buy more or keep what you have depending on what the price was at the time when you were entering the market. Holding on to what you have might help you sell off at a good profit when the price hit a high. On the other hand, if the Precious metals market predictions are not favourable, then you might want to look elsewhere for you investments if you are yet to start. But if you are already there, and the price is not that bad, then you could consider selling off soon enough before prices fall too low. However, you could still gamble and wait to see if the predictions will change. One year is a long time and most predictions are adjusted quarterly. You could hold on to your precious metals for a while, but just don’t keep your hopes too high. In the precious metals market, it is always good to be realistic. « Why Credit Cards are Declined?